Shoe Store Santa Cruz. Shoe store in San Jose, Sacramento, Fremont and Santa Cruz California. 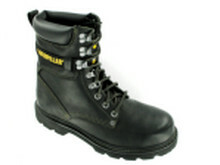 Hundreds of construction boots, Hytest safety shoes, casual shoes, boots, sandals, steel toe boots, work shoes, industrial footwear, women’s and men’s shoes. Over 11 locations over northern California and Nevada. Visit our online store or come in to a local retail shoe store.